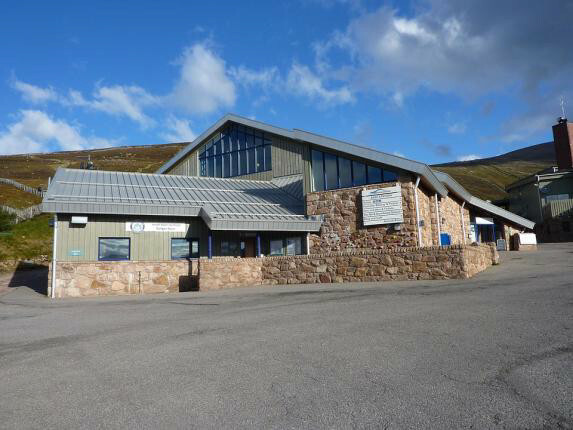 In the last edition of Mountain Views, we reported that we had met with representatives of Natural Retreats, the commercial company which has taken over the management of Cairngorm Mountain. It was good to meet you again; I appreciated the opportunity to see your proposals at an early stage. The following are some comments. We fully understand the company's need to increase revenue and, as part of this, the aim of making the facilities more family friendly and less weather dependent, with improved educational and interpretative facilities. Of course, to some degree what is being proposed regarding services and indoor activities is in competition with other facilities in the Glenmore corridor and, indeed, with what you yourselves provide at the top station. I will leave it to others to argue as to whether this is desirable. However, in respect of interpretative displays, it would be good if these were co-ordinated with what is available at the Glenmore Visitor Centre (although I see that a recent post on the Forestry Commission website suggests that much of what was on display at the latter has been removed recently). You said that the pictures of the proposed buildings are not the final design, so changes may be incorporated. My criticisms of the buildings as displayed are that they are v. 'angular' - modern sharp corners, flat roofs and lots of concrete; as such they do not correspond with the shapes of the landforms in the area. As this building will need to last for many decades, I think it is essential that the opportunity is taken to build something which blends in with the landscape. To do this, I suggest that roofs be slightly domed and covered with turf/heather and the corners of the buildings rounded; it is essential that the external walls are clad with as much granite as possible. I appreciate that granite cladding is expensive but this is an exceptional environment; concrete is alien and will 'dirty' in time. While things are obviously at an early stage, I think that there may be opportunities for planting native species of trees to screen the new buildings, particularly on the east side. No doubt SNH will be able to advise on the feasibility of planting certain types of tree (presumably primarily Scots pine but also various shrub species). I assume that tidying up the car park area will be in the plans. I applaud your commitment to pressing for improved transport links down the corridor to Aviemore. This would ease traffic on the road and is desirable on environmental grounds. To maximise the potential, a type of park and ride scheme will be needed (parking in Aviemore is at a premium). In respect of hill walkers, early and late buses are needed. As you know, North East Mountain Trust's overriding concerns are regarding the additional activities planned for the whole area outside the building. We are well aware that plans for these will be central to your thinking with regard to increasing numbers of summer visitors. As well as wanting to ensure that such activities have as limited an environmental impact as possible within the ski area, we are very keen to ensure that they do not, indirectly, impact negatively on the ecology of the surrounding areas, including the plateau and the Northern Corries to the west, and on the enjoyment of those who visit those places on foot. I look forward to hearing about what you have in mind once plans are worked up. I would be very grateful if you could keep me, as North East Mountain Trust's contact, directly informed as well as advising Scottish Environment LINK. I hope the other consultation days are proving useful and I look forward to hearing about your plans in fuller detail in due course. The second last paragraph of our letter outlines our main concerns. To boost profits, which the company must do, it will have to increase summer visitor numbers and to do this it will have to develop activities outwith the buildings themselves. These will inevitably have environmental impacts within the ski area and, potentially from visitor overspill, on areas surrounding the land that Natural Retreats manages. The company remain rather coy regarding what these activities might be, although mountain biking has been mentioned. Interestingly, the Cairngorms National Park Authority emphasises this concern in its response regarding whether an Environmental Impact Assessment is needed for the base station proposals. While saying that it does not consider that an EIA is necessary in respect of redevelopment of the buildings, this opinion does not cover new infrastructure for outdoor activities. The Park is also asking that a Visitor Management Plan be submitted at the pre-application stage. We are expecting the full planning application by the summer.